I remember when I first got an external battery. It was a game changer. Although it’s capacity was a mere 3000 mAh, it saved me several times while traveling. 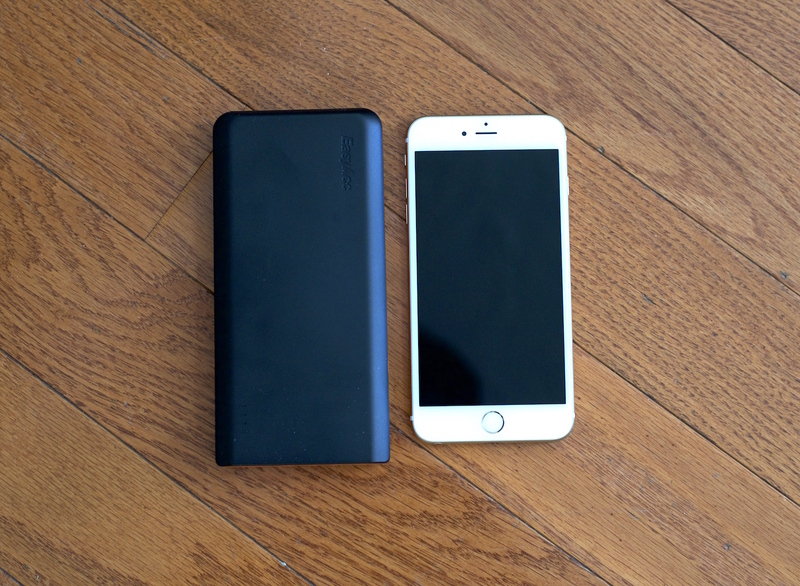 Fast forward to today – I’ve been testing the EasyAcc 20,000 mAh monster of a power bank. 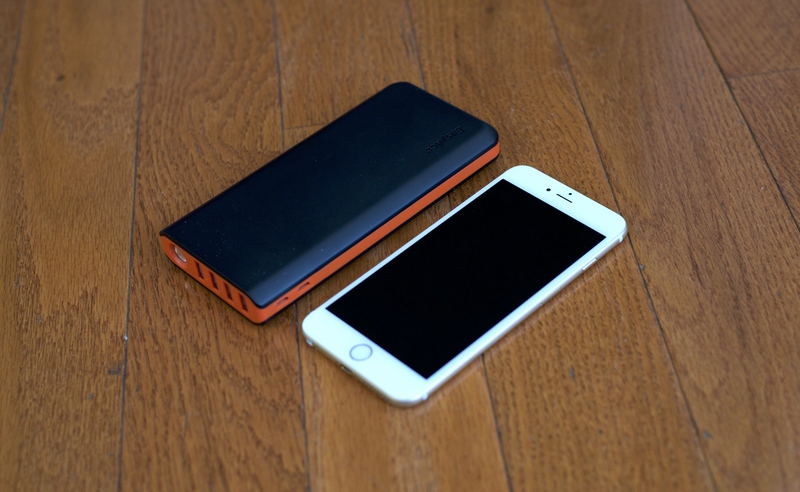 The EasyAcc is one of the largest capacity external batteries you can find on the market today and it has a whopping 20000mAh – meaning it can recharge your iPhone 6s around 7-8 times! With this battery pack, you’ll have power for your USB charged devices no matter where your are in the world. Read more: What does mAh mean? The stand out feature of this external battery is by far it’s capacity. You’d be hard pressed to find one larger than the EasyAcc Monster. 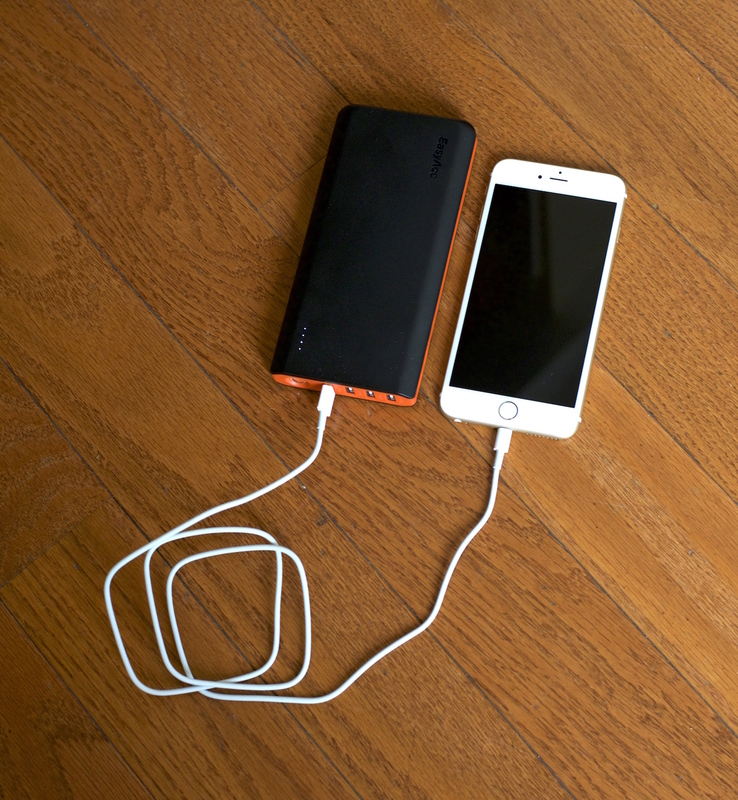 This battery is like a portable wall charger. 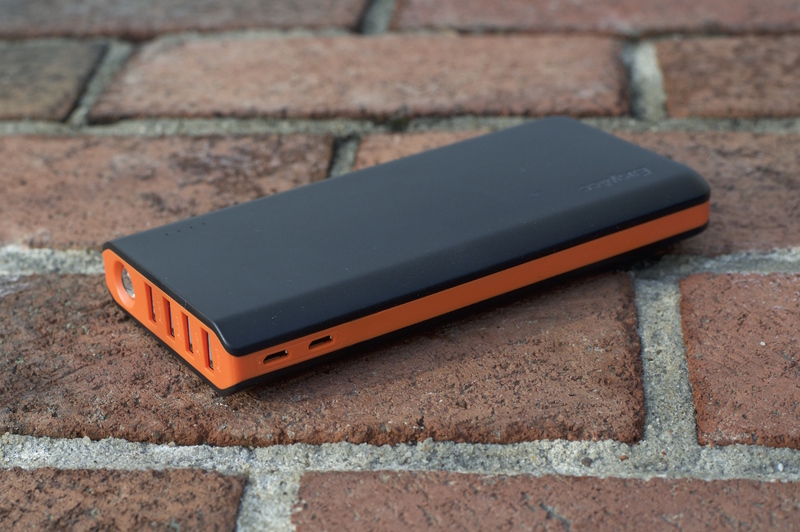 If you’re traveling or off the grid, the 20,000 mAh is good enough to last you several days. Take a look at this post about mAh and how it pertains to your gadgets. You can turn on the flashlight by double pressing the power button. Honestly I felt the built in flashlight was a bit unnecessary, but it doesn’t take up much extra space. At the side of the EasyAcc battery, you’ll find two micro USB sockets. These are for recharging the battery. You can use both sockets simultaneously to charge the battery faster. It still takes around 12 hours or less to fully recharge the battery, but that’s alright considering how large capacity it is. The ability to use two input cables at the same time really cuts down on the recharge time. If you’re traveling, recharge the battery pack the night before and in the morning your battery should be full and ready to go. The external battery also has 4 output USB sockets. I’ve been able to charge 3 iPhones and an iPad all at the same time. To charge a device, plug it’s charger into the USB socket. Considering the capacity, the size is reasonable. The size is definitely feasible and not a problem if you’re vacationing or traveling with a suitcase, but if you’re an ultra-light packer, you might want to consider a smaller battery pack, like the 10000mAh Anker Astro external battery. Overall, the EasyAcc Monster 20000mAh power bank is a great travel gadget that will come in handy whether you’re in the airport or trekking in Peru. The large capacity can keep all your gadgets charged is just like bringing a wall outlet with you everywhere you travel. 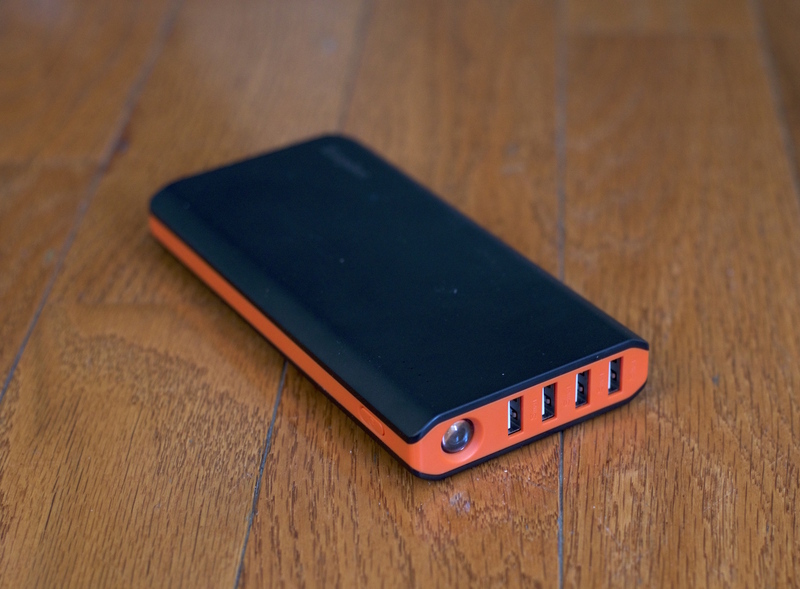 The EasyAcc Monster 20000mAh Power Bank was provided for this review. As always, this EasyAcc Monster 20000mAh Power Bank review contains only my honest views and opinions. 🙂 Find out more about me and this site here.